History, this is the subject that can be extremely fun, or extremely boring. The main factor in this would be how it is presented to your child and how they receive it. We have seen both ends of this and have listened to the kids as to how they learn. 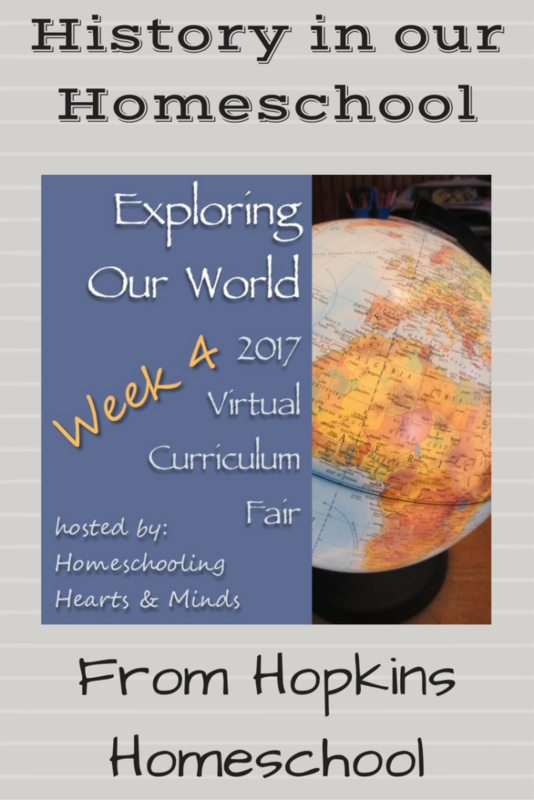 I am super happy to be a part of the 2017 Virtual Curriculum Fair hosted by Susan from Homeschooling Hearts & Minds and Week Four is all about Exploring Our World. The boys in this house love history. Moe Man could read interesting history novels all day long. Daddy is always talking about things he has been reading, or we are watching something interesting on TV. This makes for a great base for history, but this doesn't always work for everyone. We have looked at almost every history program. We love a lot of them, yet there are some that just didn't jive for us. Or they worked wonders with Moe man and would do nothing for Ray Ray, or vice versa. I am just starting with Little Miss and cannot imagine what will or won't work for her! Moe Man is my reader. He wants to read or watch movies about history. He does not like doing too many activities. We tried a few unit studies and he was bored, or acted with a lot of disinterest. But if I can give him a book to read, be it a novel or a history book, he will read it. He will tell me main facts, but he won't do more than that. This has bugged me for a while now. I really want to be able to have him do extra, but I don't want to ruin the excitement that he has for what he does do. I love that he loves history, and I love watching him do things on his own when it comes to history. This for me, is enough! 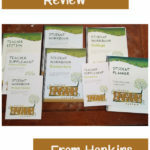 Currently he is working through the World History Curriculum that we love from Christian Homeschool Hub. He loves it and I love that he loves it. Ray Ray. This child is someone completely different than his big brother. While he loves to listen to what daddy has to say, he is not interested in the same way as Moe Man. I had Ray Ray working on using the history program from Easy Peasy, and while they add some fun and hands on activities, this was not working with him. For Ray Ray I had to come up with something that would allow him to have fun, and not feel like he was doing school. 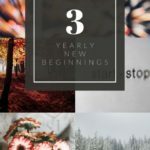 I found a few things, but there was only one thing that hit home and felt like a home run! 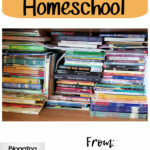 No, this is not a simple order it up, this is a work in progress, ah, the joys of homeschooling! For Ray Ray and Little Miss, I have been reading Rush Limbaugh's Rush Revere Series. I read all four books and fell in love. The action, the adventure, the time traveling! This was the key to grabbing his attention. While there is no lesson plan to go with these books, I have started using Unit Studies from Amanda Bennett to go with the topic at hand in each book. For this year, we will travel along with Rush Revere from the Brave Pilgrims all the way up to the Star-Spangled Banner. I cannot wait to introduce the kids to the exceptional Americans we will meet along the way and the fun of the Unit Studies that Ray Ray and Little Miss are loving right now. 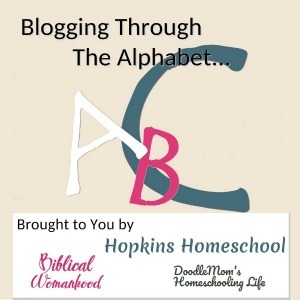 What are you using for history in your homeschool? 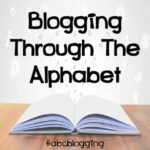 Do you focus on living history books, or unit studies, or even a combo of whatever you want to use to make it fun for your child? Living books and unit studies are the core of our history studies. I write most of it myself, but right now, we are reading a nonfiction book on Jamestown and really mostly just listening and not doing anything else with it. I should add on something, but it's a start. I have two of the Rush books and would like to read through them. They look really interesting. They may just have to jump up the pile after reading about the way your children have responded to them. We love books and always have several going so this may just be the next one. Thanks! It is not everyday that you have the chance to time travel with a talking horse 😉 And knowing that these things actaully happened (not the time travel, but the history) makes it that much more fun! Which two do you have? We are studying American history this year with a literature-based program. 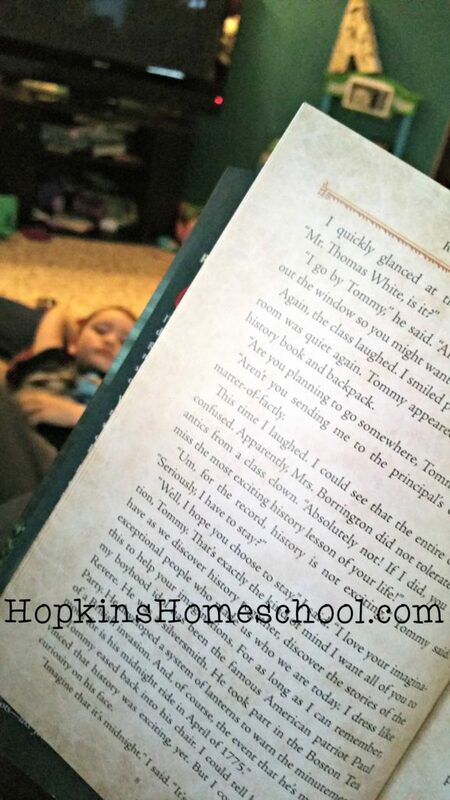 My kids don't like a lot of "extras" either, so we typically just read and do a few simple notebooking activities.